With the industry changing rapidly, the product marketer’s role has become pivotal in shaping how users perceive a product. This is reflected in a 2016 survey by Glassdoor that listed Product Marketing Manager as the #13 top job in the US. But even with the extreme focus on product marketing, and an ever-growing demand for product marketers across mid- to large-scale companies, the hiring process is still evolving, for a variety of reasons. Product managers build strategies and conduct research to understand the customers’ needs as well as acting as their ‘voice’ within the organization. Simply put, product marketing is nuanced and complicated and so is the role of a product marketer. Identifying the right talent from a pool of candidates that list product marketing as their key skill may be daunting for hiring managers or companies. It’s a role that needs more than just a qualification or experience. It requires a ‘product focussed’ mindset, absence of which may cripple product growth in the long-run. So, how do you hire the right fit? The simplest way companies can deal with this issue is by not only screening the candidate for specific work related skills, but also by asking them questions that explore their aptitude and attitude towards adapting to new trends. We spoke with a few product marketers who shared their favourite interview questions with us for this article. But before we explore them, let’s do a quick refresher on the value that a product marketer brings to the table and where their strength should lie. This will help you connect the dots and develop the questions that will help you assess their capabilities and make the right call. #1 Product marketing roles are often confused with product management roles. Both roles deal with the ‘product’ and thus probably overlap. Yasmeen Turayhi, a product marketing manager, believes that most of the time, a product marketer is responsible for full-funnel activities. She’s also of the view that different product stages requires different product managers. 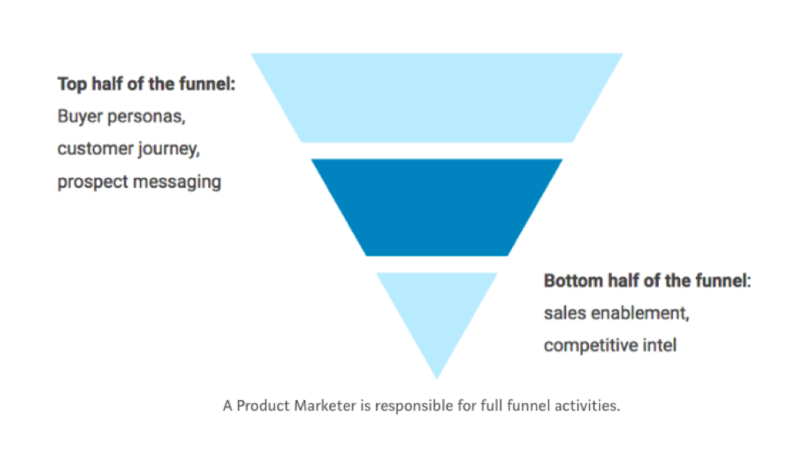 The role of a product marketer can vary from one company to another, giving it unique positioning. That’s why hiring managers should be well informed of the end goal they wish to achieve before making an offer. For an early-stage company, a product marketer’s role may be more inclined towards such skills as user acquisition, demand generation, marketing message development, and product promotion. The mindset, skillset and expectation of such a hire will be different from a product marketer at a well-funded startup, whose key skills need to complement the evolving business needs, such as go-to-market strategy and understanding of complex market and product positioning in accordance with the same. Product marketing is at a unique intersection of sales, marketing and product, and different companies perceive it in different ways. Having understood the complexities of the role, here are a few additional things that hiring managers should know before they start drafting a question template for this role. What are the larger business goals of the company and how will the product marketer influence its growth? The hiring manager should be well aware of the annual growth plan of the company and how they visualize it for each quarter, as well as the product roadmap and how a particular hire will influence it. 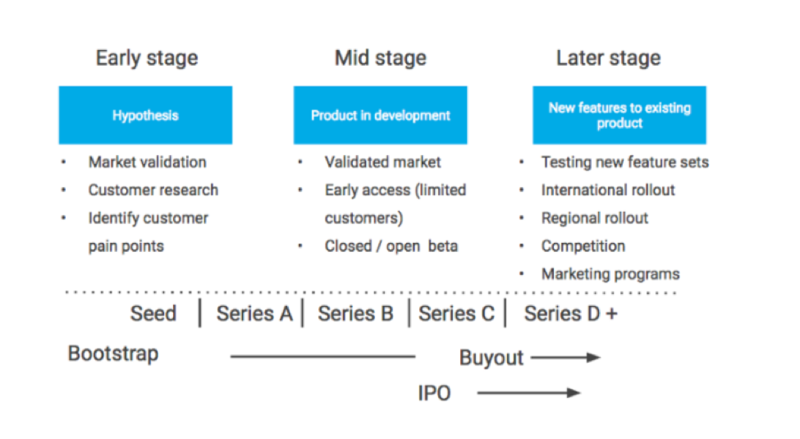 Which growth stage is the company at? This will help a hiring manager to shortlist candidates suited for a particular stage rather than making a generic product marketing hire. This also helps the hiring manager evaluate the candidates for strength in decision making and leadership skills. Asking the right questions of the candidates will determine the future of your product, and what better way to identify those questions than by asking product marketers themselves. We spoke to a few senior marketers about their top interview questions when hiring a PM for their team; the approach, depth and expectation varied drastically, as you will see. Now this is a tough one, but it’s valuable. It demonstrates the ability to think on your feet in a witty way. Be weary of answers that are too serious. Tell me about a time you went above and beyond in a job. This is obvious, but you’ll want to know their idea of what above and beyond is. You also need to know what they’re willing to do to think outside of the box. How do you think the digital advertising world will change in the next three years? See how they interpret the future. Great marketing means staying ahead of the curve. The questions proposed by Josh are apt for Marketers just joining the force. Hiring managers or senior PM’s can easily evaluate the candidate’s knowledge and character from them. However, they seem a bit generic for an evolved product marketing role, which requires intense questions that dig a tad deeper. I think it’s tough to create a one-size-fits-all top 3 questions for a product marketer. From a practical perspective, these questions will largely depend on the job description (or the particular product marketing challenge that the company’s trying to solve), which depends on a number of factors: stage of the company, the incumbent marketing team and the gaps that need to be filled, whether the product is mostly sales-driven or self-service, etc. 1) What metrics (leading and lagging) would they define themselves to monitor the impact of a product marketer? 3) How do you understand the functions of product marketing and demand generation – difference in their focus and points of collaboration? Questions proposed by Sharan are bound to test the candidate’s experience and skills and their approach towards critical decision-making as well as their understanding about product marketing in the overall marketing machine. 1. What’s the last campaign that really caught your eye? Why did you like it, and who was it from? This question is often just to get a sense of creativity, and how much the product marketer pays attention to the market overall. Depending on their answer as well it can delve into positioning and why the campaign resonated with them. 2. What’s the most recent product that you’ve “geeked” out over? What did you learn? Curiosity, in my opinion, is a critical skill that all successful product marketers possess. This question is designed to get a sense of their curiosity, technical understanding, and also get a sense for how they describe the product. Successful candidates will often go into detail in one or two specific aspects and talk about the value they found from the product/service and ultimately how it impacted their day-to-day life or work. 3. Give me an example of a product launch that didn’t go according to plan. What happened and what was the outcome? Every product launch has changes whether it’s timeline, or something else. This question is designed to get a sense how adaptable the product marketer is and also how they plan around a product launch. 4. What’s one way we should change HubSpot’s product marketing if you were in this role? This question is pretty straightforward and has caught a few people by surprise, but it often tests that candidates have done their research and have a well-informed opinion. Good answers to this question can really differentiate moderate candidates from exceptional ones. Questions proposed by Jeffery evaluate the candidate from numerous angles. They not only elicit their opinions, but also demonstrate their knowledge, curiosity and readiness for the role. There’s no shortcut to hiring a perfect candidate, but by having a balanced outlook companies can onboard ones who will bring their best to the table. And for that to happen, hiring managers and top management should not only screen the candidate for their skills and knowledge, but should also practice active listening while interviewing them. An effective hire will be able to build the right strategy and deliver results swifty and effortlessly. Taru is a Content Marketer and Strategist who loves writing about SaaS Marketing topics. She is a Marketing enthusiast and loves interacting and collaborating with peers in the industry. In her spare time, she loves reading books and enjoying her Earl Grey cuppa!